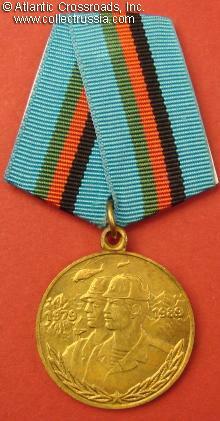 Medal for 10th Anniversary of the Soviet Withdrawal from Afghanistan, 1999. In brass, 33.3 mm wide. 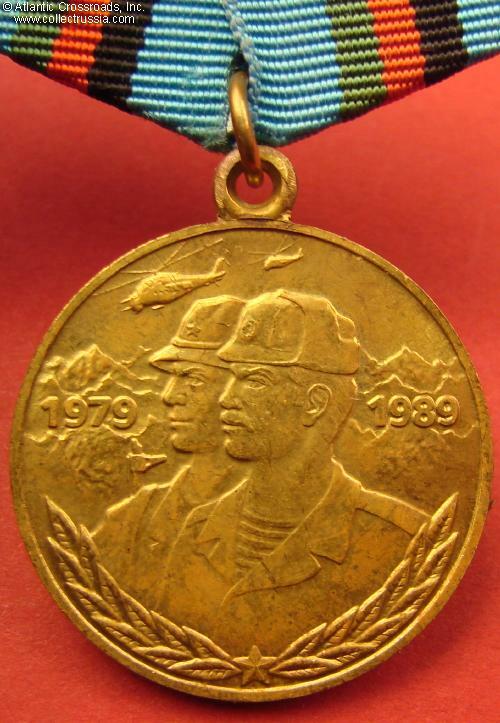 Shows an Afghan Army soldier and a Soviet paratrooper, with mountain range on the background and attack helicopters flying overhead. 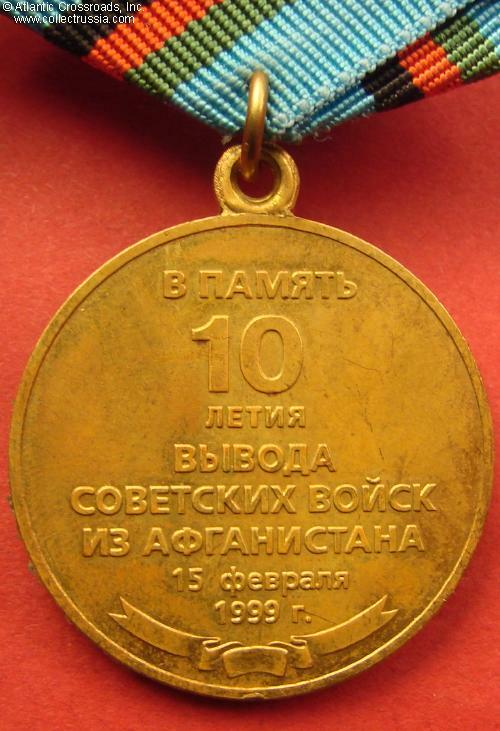 Shows dates "1979 -1989", the years of Soviet occupation. Very fine to excellent condition. There is minimal tarnish on both sides, not detractive. 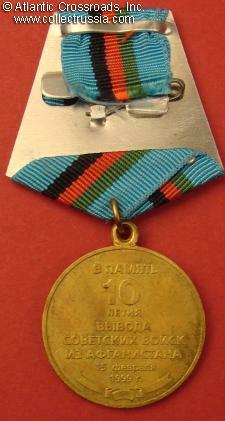 The medal shows no other wear; the raised details are perfect.